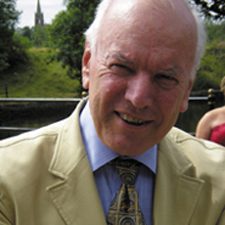 David Martin, a sociologist of religion known especially for his critique of secularization as a theory of social process and his pioneering work on Pentecostalism in Latin America, is a professor emeritus of sociology at the London School of Economics and Political Science (LSE), honorary professor of the sociology of religion at Lancaster University, and Ordinary Fellow of the British Academy Fellowship. He is also an ordained priest in the Church of England attached as a non-stipendiary assistant to Guildford Cathedral. A past president of the Science and Religion Forum, the Religion Section of the British Sociological Association, the International Conference for the Sociology of Religion, and the United Kingdom Committee for University Autonomy, he has been a member of the boards of directors of CORAT (Christian Organizations Research and Advisory Trust), St. Catharine’s Royal Foundation, Culham College, the Higher Education Foundation, and the International Council for the Future of the University. The author of numerous articles in scholarly journals, Dr. Martin is an editor or co-editor of eleven books and the author of seventeen others, including Pacifism: An Historical and Sociological Study (1965), A General Theory of Secularization (1979), Tongues of Fire: Conservative Protestantism in Latin America (1990), Does Christianity Cause War? (1997), Pentecostalism: The World Their Parish (2002), and, most recently, On Secularization: Notes Towards a Revised General Theory, which was published in 2005 by Ashgate. His latest work, co-authored with his wife Bernice Martin, is Betterment from on High: Evangelical Lives in Chile and Brazil and will be published in 2006 by Oxford University Press.